Beaumaris Castle is distinguished by its inclusion as a World Heritage Site. And not without good reason is it considered the most beautiful castle in Wales. It is widely accepted as probably the most technically perfect example of a medieval castle in Britain. While conforming to the highest measures of architectural design and creativity, this castle exhibits a beauty that has inspired poets and painters over the ages. As you approach from Castle Street to the west, the site seems to blend in with the town rather than striking you as some imposing fortress. How ironic given its original purpose! Yet for all the brilliant design this castle was never completed. It is almost like an unfinished symphony which remarkably turns out to be the composer’s best work. Standing in front of what was once Mill Dock, you can just imagine the activity as ships brought in provisions for the inhabitants of town and castle. There is still a ring for tying up boats, attached to the bastion of the Gunners Walk wing. Gunners Walk served as protection for the ships within the tidal dock. 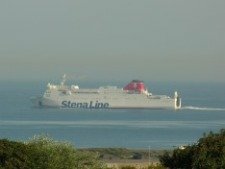 I find it amazing to think that over 700 years ago, ships of up to 40 tonnes would sail right up to the castle entrance. As you walk across the wooden bridge which leads to “Gate next the Sea” just imagine yourself crossing the drawbridge, as this was the same site. So why build a castle here at all? 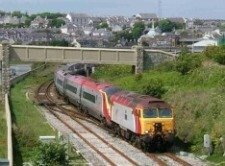 The story begins in the 13th century when Edward I (1239-1307), King of England, launched an invasion of Wales in 1277, reaching as far as the north west Kingdom of Gwynedd. He succeeded in putting down the rebellion led by Llywelyn ap Gryffudd. A second rebellion in 1282, again led by Llywelyn, who had declared himself Prince of Wales, was again put down. On this occasion Llywelyn was killed in action. Following these battles, Edward decided to build a series of fortifications to maintain control. This hugely ambitious project led to the “Iron Ring” of North Wales castles. 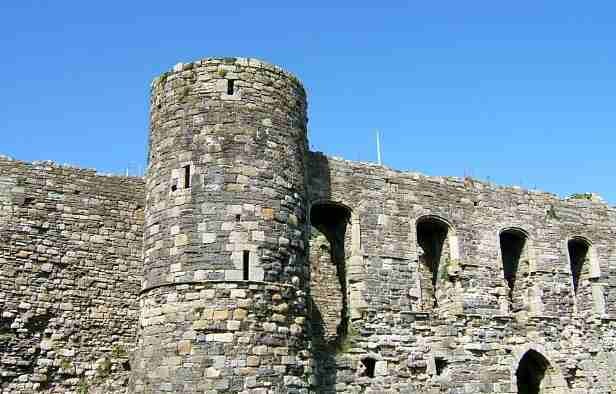 Four sites were planned, namely Caernarfon, Conwy, Harlech and Beaumaris Castle. 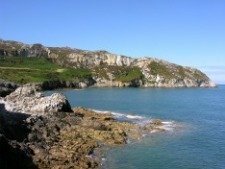 Another rebellion in North Wales in 1294/5 under Madoc ap Llywelyn was defeated. 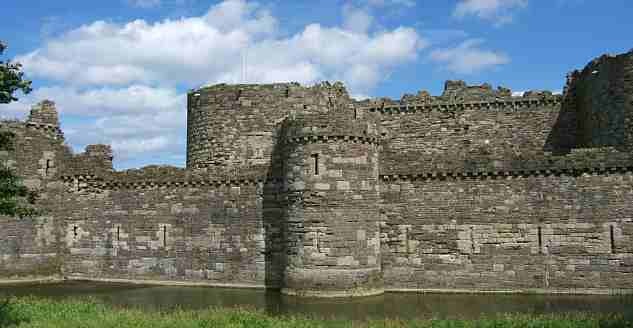 This probably clinched Edward’s decision to go ahead with building Beaumaris, which began in 1295. 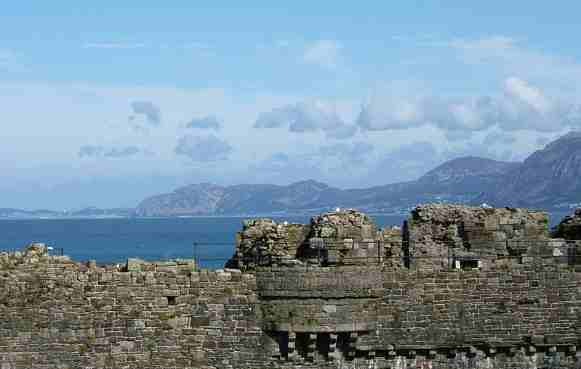 Edward I engaged his military architect, James of St. George, to design his castle on the south east coast of Anglesey. 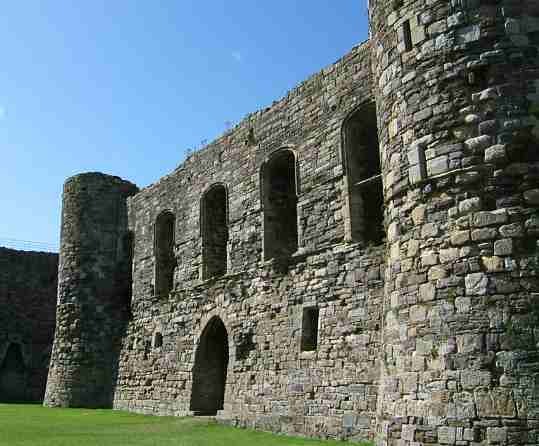 Beaumaris was his last, and he brought to this project all his creativity and significant experience gained building some of Europe’s greatest castles. Here we have a symmetrical, concentric “walls within walls” model of fortification, which means an attacker effectively has to breach four lines of defence. A higher “inner” ring is surrounded by a “lower” outer ring. While the framework design was state of the art, there was also a series of obstacles to blunt the attacker. Gruesome sounding “murder holes”, portcullises, solid wooden doors and cleverly positioned arrow-slits made a successful attack a very difficult proposition. What amazes me is the vision in the plans for grand accommodation for Royal guests. Walking around the site you can picture the location of the kitchen, dining room and bedrooms. I was surprised to learn that as few as 35 soldiers could garrison the castle, so “watertight” did James consider his design. Another fascinating experience is to navigate through the narrow passages which connect the various towers and gatehouses. You will find it possible to move from ground to first floor at some points, but your pathway is blocked off elsewhere. While arrow slits are excellent for defending soldiers, they virtually cut out all natural light. I can imagine some injuries caused by inadequate lighting in these corridors. I found the most beautiful chamber to be the Chapel with its vaulted ceiling, on the first floor of the Chapel Tower (east side). An ideal spot for reflection on your visit to Beaumaris Castle, you can reach here either along the first floor passageway or via a wooden staircase from the Inner ward. Such an ambitious project required a huge pool of workers. It was quite normal for there to be about 2,500 workmen involved, including 400 or so skilled stonemasons to cut and lay the blocks. 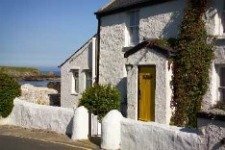 While stonemasons and carpenters did the “upstream” work, there were hundreds of men involved in “downstream” activities such as quarrying (Penmon and Pentraeth on the island), transporting the stone, coal, lead and other metals by sea. With so many people involved in the project it is perhaps not altogether surprising that eventually Beaumaris Castle was unfinished due to lack of financial resources. As part of the exercise of building Beaumaris Castle, the entire population of Llanfaes, a village about 0.5 miles north east of Beaumaris, was removed. 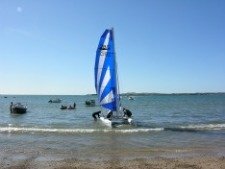 They were forced to resettle in a new location which is modern day Newborough.